Here is my quick travel guide to Malapascua for those planning to go there in 2018 or 2019. Malapascua is a small island at the northernmost tip of Cebu under the jurisdiction of Daanbantayan. ​How do I get to Malapascua? From Manila, take a flight to Cebu City. You can take any of these airlines – Cebu Pacific, Philippine Airlines or Air Asia. From the airport, take a cab going to the Cebu North Bus Terminal. Based on my experience, it’s easier to get the cheaper white cabs from the departure area. You just have to get out of the arrival area, cross the street to the departure building and walk towards the pick-up/drop-off bays right in front of Waterfront Hotel. Alternatively, you can book a Grab Car or Grab Taxi to pick you up either in the arrival or departure area. From the terminal, you can either ride a bus or a v-hire (public van) going to Maya Port. The one-way fare is PHP 200 to PHP 250 or roughly 4-5 USD. As of writing, there are 2 operational ports in Maya – the old and the new one. If you ride the bus, they will go directly to the new port. If you take a v-hire, some might take you to the new port and others may take you to the old one. Doesn’t really matter. Both ports have boats going to Malapascua. From Maya port, ride a boat going to Malapascua Island. The fare is PHP 100 or about 2 USD. The first trip leaves at 6:30 AM and the last trip leaves at 5:30 PM. In case you miss the last trip, you can hire a private boat (which of course will cost more) or spend the night in Maya. When you reach Malapascua Island, you can either walk or take a flat boat going to your resorts. 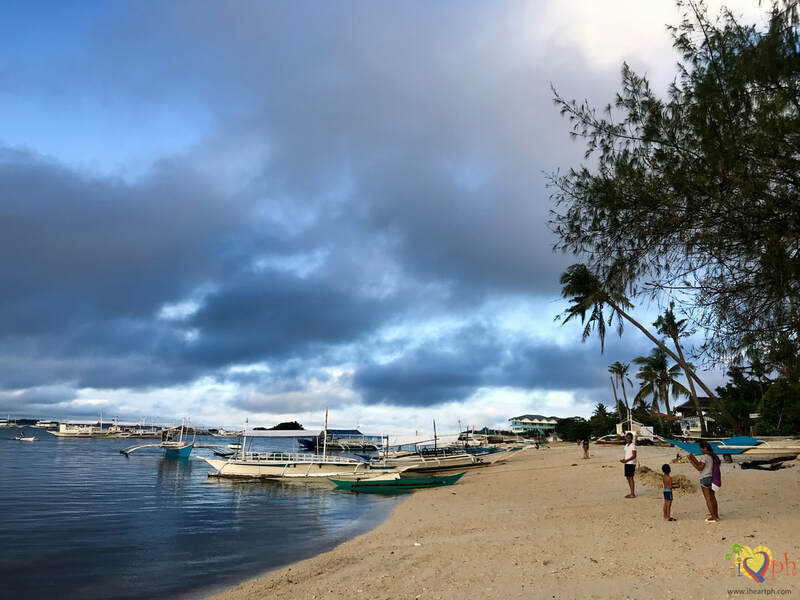 For those staying in resorts along Bounty Beach, you can either walk through town for 15-minutes from the Malapascua port or you can take a flat boat for P20 each and they will drop you off along Bounty Beach right in front of your resort. ​How many hours will it take from Cebu City to Maya Port? Approximately 3-4 hours by bus or by v-hire. How many hours will the boat reach Malapascua from Maya Port? This won’t take an hour. My estimate is about 30-45 minutes. ​How much should my pocket money be? Our total expense for 2 persons is P22,098 which is P11,049 per person including airfare, accommodation, food, transportation and island hopping expenses. Accommodation: P4,200 per night in Ocean Vida Resort. ​How many days should I spend there? 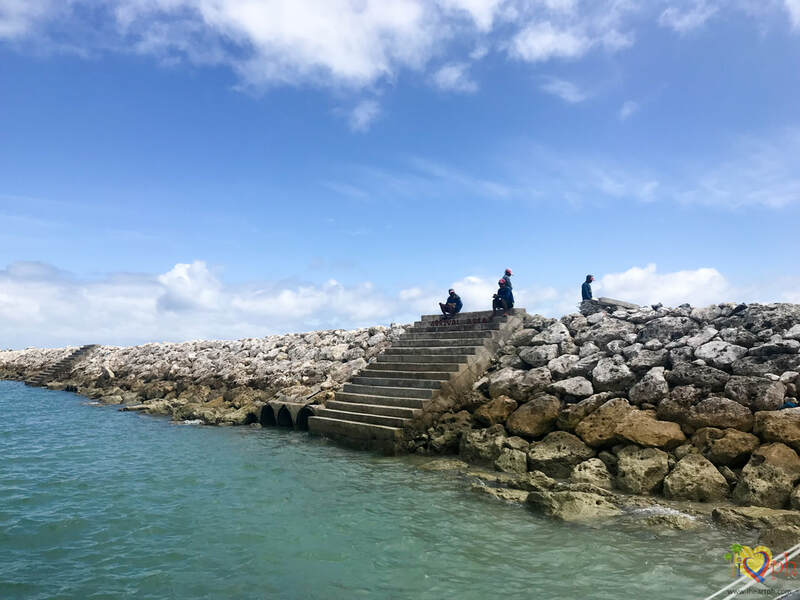 Depends on what your plans are but ideally (given the long trip from Cebu City), you have to spend at least 2 nights in the island or 3 nights if you are planning to go to Kalanggaman Island. ​​I am arriving in Cebu City later in the day, is it okay if I head straight for Malapascua? 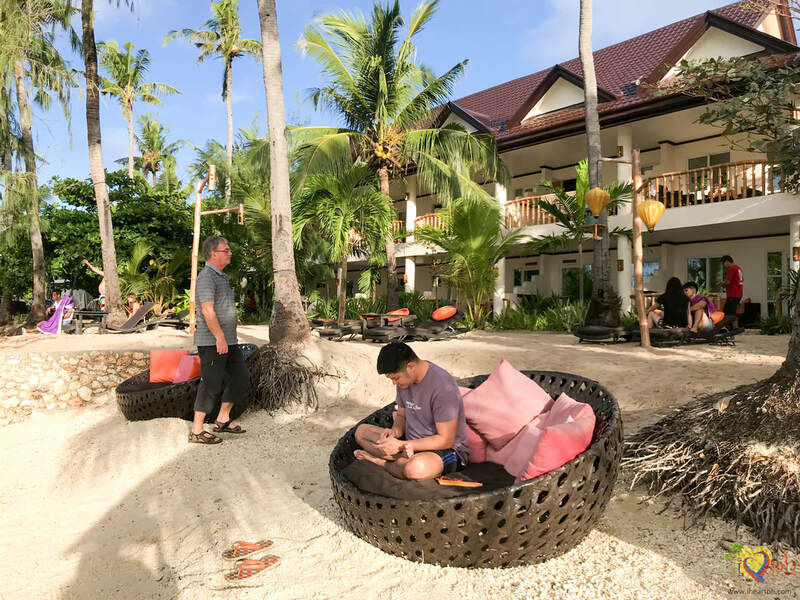 Where is the best place to stay in Malapascua? You can refer to this blog entry Malapascua | Where to Stay for the recommended resorts in the island. My basis are the ratings and reviews of previous guests through Agoda. Is there phone reception and internet connection in the island? Phone reception is not a problem at least for Smart and Globe users. Internet connection via shared WiFi is offered by the resorts as well but the speed differs from one resort to another. I had issues with internet connection in Ocean Vida as it doesn’t work inside the room. You have to be in your veranda or in the bar/restaurant area for it to work properly. So most of the time, I was using my Globe LTE, which worked perfectly. Who do we contact for island hopping tours? 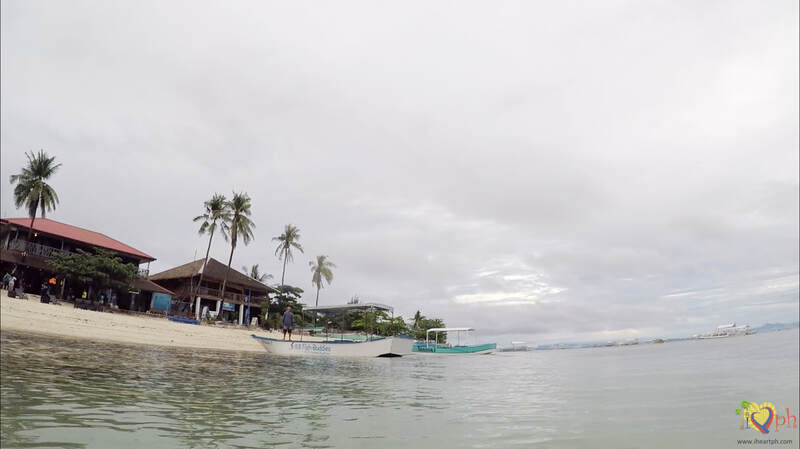 Your resort should be able to book island hopping tours for you but in case you want to book in advance, you can contact Kuya Noy at 0916-388-7801. He also provides transportation from Maya Port to Malapascua, so in case you need to book a special trip, you can contact him directly.